Very popular amongst fishermen and divers as well as those wanting to enjoy whale and dolphin viewing trips and pleasure cruises. We have a selection of holiday units available in Shelly Beach. A picturesque town offering beautiful scenery, vibrant restaurants, nature reserves, popular fishing spots and is best known for its awe-inspiring waterfall that falls into the lagoon on the beach. A carefree, friendly and exciting town and popular seaside resort where all the action is happening for visitors and locals alike. A quaint seaside town adjoining Margate, set amongst lush indigenous coastal bush home to an abundance of birds and wildlife, and a very popular holiday destination for those wanting a quieter break. A selection of self catering houses, cottages and apartments, from budget to luxury, on the KZN South Coast. Come and enjoy our golden beaches, warm ocean, friendly people and loads of activities! If you are looking for accommodation on the South Coast look no further than Seaside Holidays. We have a wide variety of holiday letting units to select from and cover all the towns from Shelly Beach to Ramsgate. Check out our Live Booking System where you can check the unit's availability, in and out of season rates and make a booking enquiry. Enjoy your stay with us! Browse through our holiday accommodation portfolio. We have a wide selection of top properties to select from. 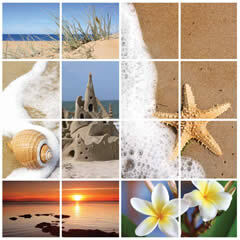 The KZN South Coast is renowned for its golden beaches and warm ocean. Find out more about the towns. Are you a property owner on the South Coast? Why not let us take care of all your holiday rental needs?